Just a quick update on how my book is doing. Happy to say another cheque on its way to RSPCA, this makes donations from the sale of ” A Little Help For My Friends” £650 now. A little help for the wonderful animal shelter at Martlesham. Copies still available to buy. 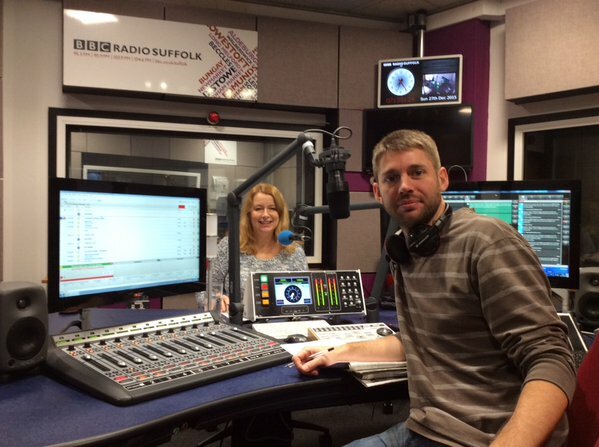 Great to be on Jon Wright’s radio programme this morning, talking about my new book for the RSPCA and reviewing the papers. Thanks Jon for inviting me! If you liked the sound of the poems I read on the show, you can order your own copy below – all proceeds go to the RSPCA. Thanks to the Ipswich Star for the article about my new book, A Little Help For My Friends, which is raising money for the RSPCA. You can see the online article on the Ipswich Star website. The Other Day at the RSPCA …..
Lovely to meet Bentley, one of the dogs eagerly awaiting a loving home, at RSPCA Martlesham Animal Centre. 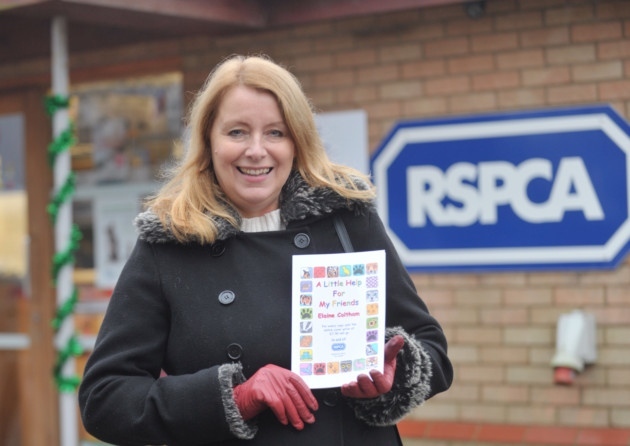 My book – A Little Help For My Friends – is selling well and so far I have been able to donate £422.50 to help the work at RSPCA Suffolk East & Ipswich Branch. 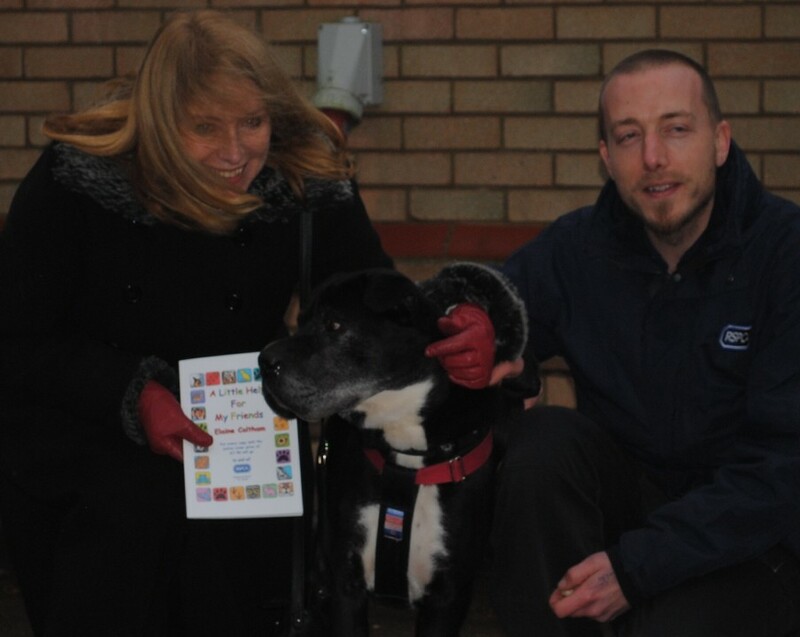 Me with Bentley and Tom, the Centre manager, when I visited to deliver another donation cheque and a supply of books for anyone visiting the centre who may like to buy one. I am happy to tell you after many months of work, my new book is published this month. “A Little Help For My Friends” is a collection of children’s poetry, all written by me. The book is raising money for the RSPCA. Thanks to family, friends and local businesses sponsoring the cost of printing the books, I am donating the entire cover price of £7.50 to the RSPCA to help them with their tireless work. Will Travers OBE, President of the Born Free Foundation has written a message of support for my book. Inside are many photographs and drawings and introductions describing my inspiration behind each poem. Please send me a message if you would like to buy a copy. I’m working on my new book at the moment, a children’s poetry book and I’m hoping it will raise money for the R.S.P.C.A. They are a charity I greatly admire for their tireless work doing their very best to protect animals. I’m currently looking for sponsorship to cover the cost of printing the book so I can then donate the entire cover price of the book to the R.S.P.C.A. If you or your company would like to help me with sponsorship, please send me a message.